PLEASE MAIL TO THE MOON AND BACK !! Our friends and fellow campaigners at the Association for Aid and Support of the Creole Dogs have now kindly added an English Language version of the EU Resolution for anyone wishing to sign. Simply click on the following link, and once at the site, click on the Union flag for the English version, which will appear at the bottom. Click on the flag again and it will give you the German language version. This concerns us all ! created by the European Association for the Protection of Animals and Environment/Europäischer Tier- und Naturschutz e.V. and the Alliance against Abuse of Animals/Bund gegen Mißbrauch der Tiere e.V. in order to establish finally the rights of stray animals in the European legislation, the right to live and to be treated humanely. The European stray animals and those among us who are fighting for them, have been waiting for this for a long time. The resolution shall be presented to the European Parliament and the European Comission in Brussel October 4th, the world animal welfare day. *** UPDATE *** signatures will now be accepted until the end of the year, not just until the 4th of October which gives us more time. We need at least 100 000 signatures. We ask all animal welfare associations and organisations to send the resolution to all their members and ask them to sign. Please send the resolution also to other associations and organisations and put it also on your home page for downloading. At the bottom of the page you find the underlined spaces for names and addresses. We thank wholeheartedly all those who help with their signature the stray animals of Europe to obtain legal rights. Here you can see photographs of ‘Bruno’. 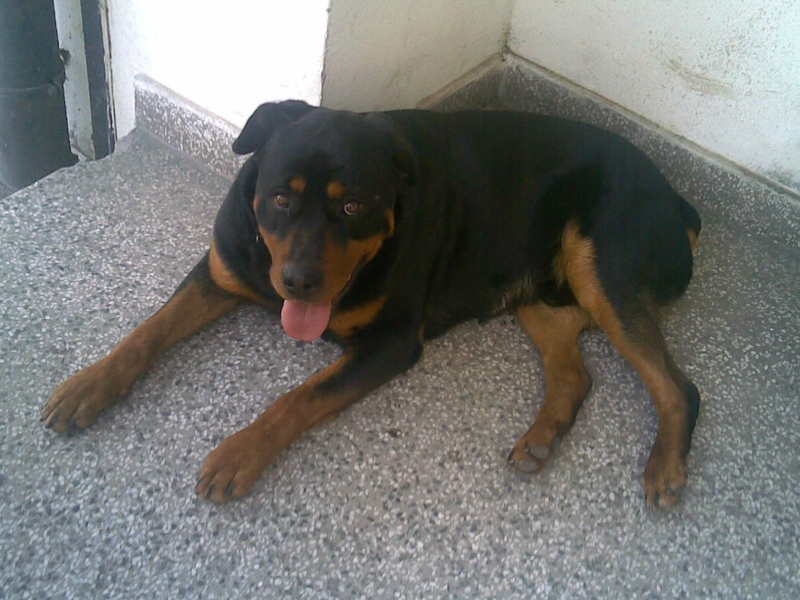 Bruno is now dead; killed by an injection of either Nuvan pesticide or T-61 into his heart. Bruno was a police dog as can be seen from the photographs. He was very good at his job. 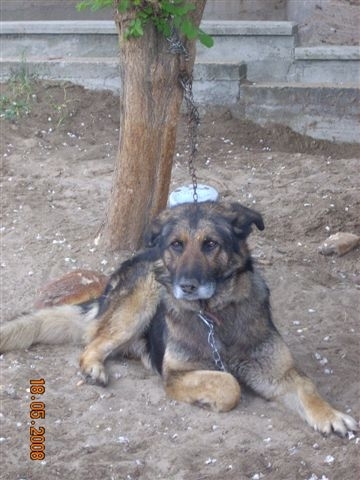 EPAR have been contacted by the Serbian police with regard Bruno’s death. Many of the policemen who worked with him have told EPAR that they all loved Bruno and that they cannot forget him; several of them are very upset about what has happened to Bruno. 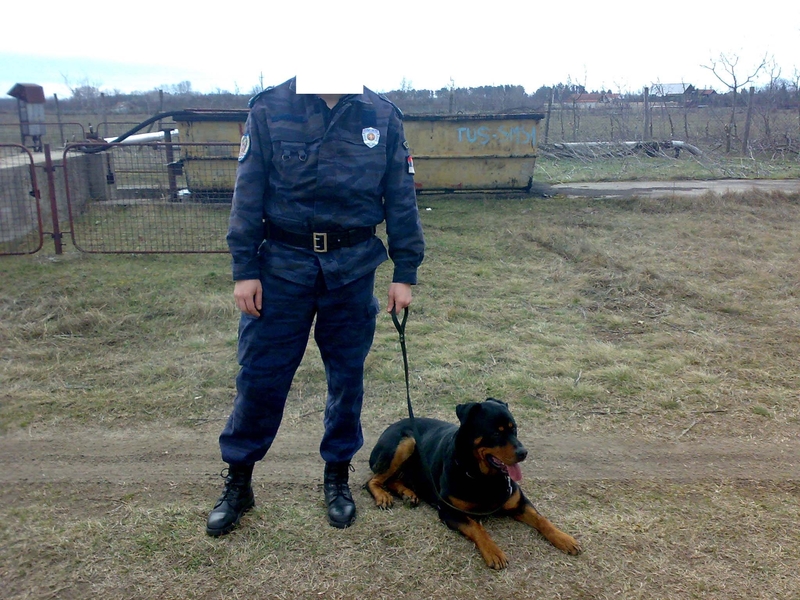 These policemen who are very upset at the loss of their companion are now demanding that the Veterinary Inspector (allegedly a Mrs Branka Bjelica) who demanded the killing of Bruno, should be punished. Some of the policemen were present when Bruno was given his (lethal) injections – but the policemen did not expect in any way that Bruno was going to be killed; they simply thought that Bruno was going to be given a vaccine, as it is alleged that he killed a fox several hours before. It was only around 30 minutes later after the injections, that Bruno was seen by some of the policemen to be dead. None of the authorities involved in this case have produced any evidence in the way of a fox body to substantiate the claim that Bruno did kill a fox, but Bruno was destroyed for allegedly being a fox killer. The policemen who were friends of Bruno have provided the photographs that you can see in this article. It is these same men who are demanding justice for the unnecessary killing of Bruno. 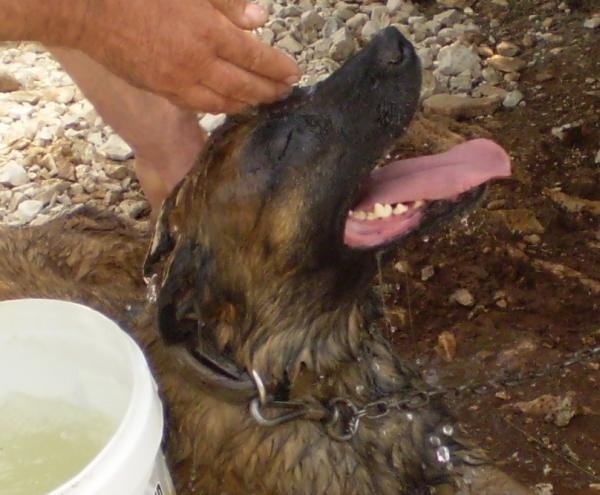 Please e mail them and demand that the veterinary inspector is punished for demanding and undertaking the unnecessary killing of loyal police dog and public servant Bruno. 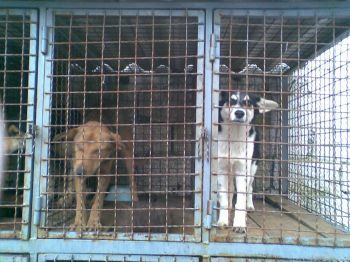 In a further show of support for the implementation of a national No Kill strategy within Serbia, a letter has now been sent to Mr.Sasha Dragin – Minister of Agriculture,Serbia, and to Mr.ZoranMicovic – Director of Veterinary Department of Serbia, from Paola Ghidotti – International Campaigns Director and Massimo Pradella – International Chairman, of OIPA, the International Organisation for Animal Protection, based in Milan, Italy. “We are writing you on behalf of OIPA. OIPA – International Organization for Animal Protection, is an International Confederation of associations (today, 170) for the animal protection and for the defence of animal rights all over the world. Founded in 1981 by Milly Shar Manzoli, OIPA is a Non Governmental Organisation associated to the UN Department of Public Information since 1992. The purpose of the Organization consists in the defence of animal rights and in the defence of the animals from every kind of mistreatment. It also follows the purpose of improving the public health through the abolishment of any kind of animal experiments throughout the world. The organization we lead has been committed to the principle of protecting animal life since its inception more than 30 years ago, and so are our members and staff. It was OIPA, more than any other group, that pioneered the concepts of legislation, education, and sterilization to combat the pet overpopulation problem. 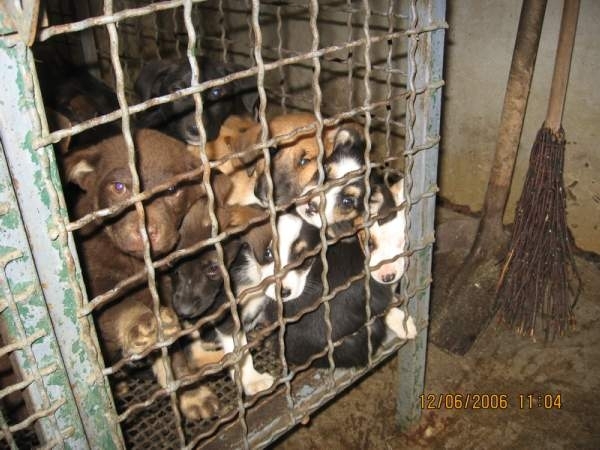 Today in Serbia, thousands of unwanted animals will suffer and die. 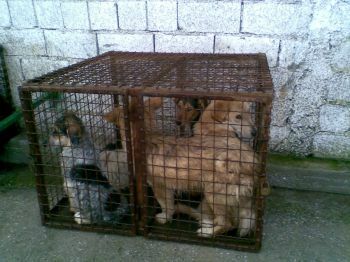 A shocking number of dogs, cats, and others are born daily into a world whose homes and hearts don’t have room for them”. “One unspayed dog and her offspring can lead to 67,000 dogs in six years. One unspayed cat and her offspring can produce 400,000 cats in seven years (The Humane Society of the United States, “HSUS Pet Overpopulation Estimates,” 2004)”. “Spaying and neutering helps stem the tide of overpopulation. The real answer to the massive street animal population in Serbia is for all authorities to adopt a sterilisation programme. A ‘NO KILL’ policy. 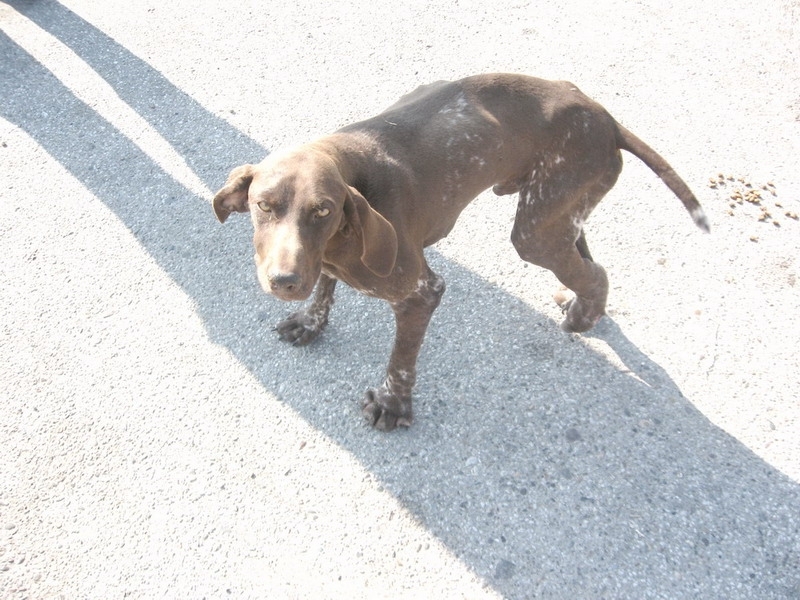 It must be a national priority to reduce the number of stray animals over time. Shinters/dogcatchers are not animal control agencies – they are simply communal enterprises working on controlling the stray dog and cat populations”. “Tremendous as the problem of pet overpopulation is, it can be solved if each of us takes just one small step, starting with not allowing animals to breed. The solution is this: only by implementing widespread sterilization programs, only by spaying and neutering all companion animals, will you get a handle on pet overpopulation. Consider the fact that in six short years, one female dog and her offspring can give birth to hundreds of puppies. And, in seven years, one cat and her young can produce hundreds of kittens. Given these high reproductive rates, it stands to reason that, in only a few years, carefully planned and implemented sterilization programs could produce a dramatic reduction in the number of unwanted companion animals born. In fact, according news that we received from other countries, in those towns and cities that have implemented such programs, we’ve already seen the number of companion animals who had to be euthanized decline by 30 to 60 percent—even in those communities where human populations have been steadily increasing. Successful pet population control programs range from subsidized sterilization clinics to cooperative efforts involving local veterinarians to mass media educational campaigns. Only through the continued nationwide establishment of such programs you will bring an end to the tragedy of pet overpopulation. The key is providing the means for people who are unable or unwilling to pay for surgeries to have access to the procedures. Education, too, is an essential part of solving this problem. Unless people know the facts about pet overpopulation and sterilization, they are virtually helpless to do anything about the problem”. “Rabies is a viral disease that affects the central nervous system of warm-blooded animals, including humans. The disease has a long incubation period (six months) and symptoms may take several weeks to appear after infection. However, once symptoms appear, rabies is always fatal in animals. Rabies has been recognized for centuries. It wasn’t until the 1880’s when work done by Louis Pasteur identified a virus as the cause of the disease. Rabies is a disease listed in the World Organization for Animal Health (OIE) Terrestrial Animal Health Code, 2007, (Article 2.1.1.3) and must be reported to the OIE (Chapter 1.1.2 – Notification of Diseases and Epidemiological Information). The OIE – Organisation Mondiale de la Santé Animale – provides science-based standards, guidelines and recommendations for the control of the disease in animals and to prevent the spread of the disease through trade as well as standards for the diagnosis of the disease and the preparation of vaccines for use in animals. Through its network of Reference Laboratories and Collaborating Centers the OIE provides policy advice, strategy design and technical assistance for the diagnosis, control and eradication of rabies. – – European countries implementing effective wildlife rabies control programs that include oral vaccination campaigns have successfully eliminated the disease in wildlife (Switzerland 1999; France 2000; Belgium and Luxembourg 2001; Czech Republic 2004). – – Population control and/or oral vaccination programmes for domestic and stray animals are being implemented in several developing countries where rabies is endemic. Some countries have implemented vigilant control measures and succeeded in eradicating the disease. In countries where the disease is endemic, measures are implemented to address and reduce the risk of infection in susceptible populations (wildlife, stray and domestic animals) and create a buffer between the animal source of the disease and humans. In addition, experience has shown that programs oriented toward preserving life are actually cost effective and cheaper than ones oriented toward killing. For example, it is far less costly to neuter a feral cat than it is to impound, hold, kill and dispose of a feral cat’s body. The savings is also exponential (preventing future generations of feral cats from being born and potentially entering shelters)”. “OIPA fully support EPAR (OIPA member league) and all Serbian no kill associations”. As with the SAV letter and the letter from US Diplomat Mrs. Susan Johnson, sent to Mr.Sasha Dragin and to Mr.Zoran Micovic within the last week and both supporting a Serbian national No Kill programme, we await responses and will provide updates of any correspondence if received from either Mr.Sasha Dragin and / or Mr.Zoran Micovic. Petition – Help Eliminate the Cruel Treatment of Animals in Indonesia. Help Eliminate the Cruel Treatment of Animals in Indonesia. We need another 1,500 signatures to meet our target. If you love dogs, please sign this petition and add your voice to ours. Then send this to as many people as you can. SAV are very pleased to announce that professional, additional support has now been provided for the implementation of a national No Kill, Sterlisation, Microchipping and Identification (Database) programme within Serbia. A letter has been produced by Mrs. Susan Rockwell Johnson, former Supervisor of Brcko District, Bosnia and Herzegovina, and now a Senior US diplomat currently working the State Department in Washington, United States. “I hope that Serb officials such as yourselves will recognize that mass extermination efforts are misguided and counterproductive. The only effective approach is a sterilization and no kill policy, combined with measures to teach and enforce responsible dog ownership. Once it is clear to citizens that if they do not control reproduction and population they will have to pay for the care and feeding of the offspring, the incentives for responsible dog ownership and sterilization, they will have strong incentives to cooperate”. “Animal overpopulation problem in Serbia and everywhere, including in the United States, is one very much more one of uneducated and irresponsible ownership rather than the fault of the animal(s). 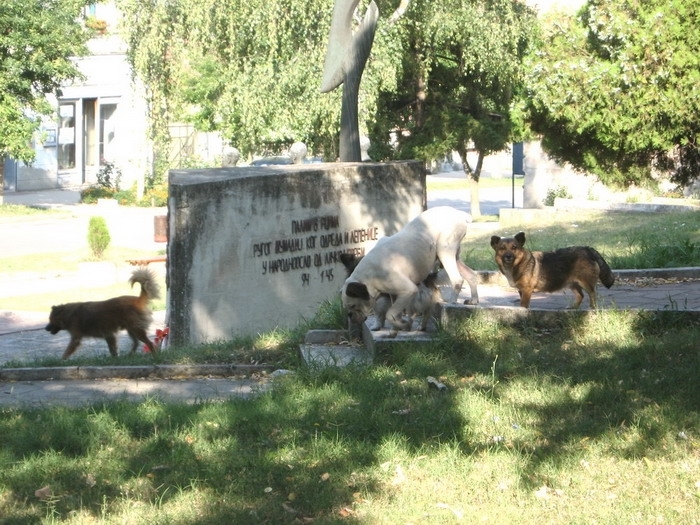 This is the problem that needs to be addressed, and rapidly, by the authorities and government on a nationwide basis – a NO KILL MASS STERILISATION and MICROCHIPPING policy which in a relatively short period of time will result in a reduction of animal numbers in the towns and villages and cities across the whole of Serbia. Susan R. Johnson, former Supervisor of Brcko District, Bosnia and Herzegovina. EPAR and SAV would like to thank Mrs. Johnson for her expert experience of stray animal management gained in Bosnia and Herzegovina, and for her support in the call for the establishment of a national ‘No Kill’ programme throughout Serbia. 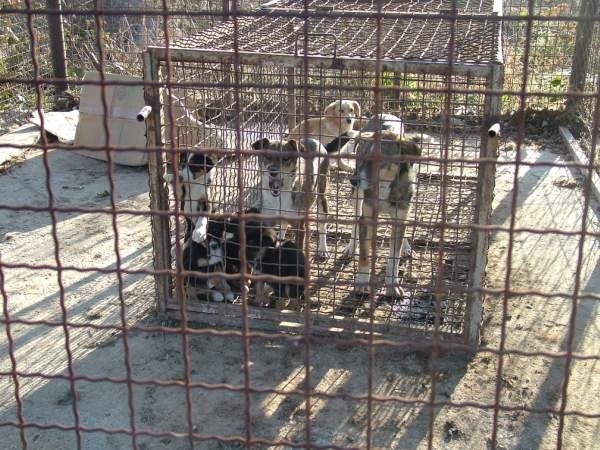 As with the SAV letter sent to Mr.Sasha Dragin and to Mr.Zoran Micovic, it has been asked that all correspondence be returned to Dr. Slavica Mazak Beslic at EPAR, who has been tirelessly campaigning for many years for a long term, animal friendly solution to the problem of stray animals within Serbia. We will provide updates if any correspondence is received in return from either Mr.Sasha Dragin and / or Mr.Zoran Micovic. We can now show a sample of the many photographs which were taken in Racha by campaigners last Sunday, the 24th August. They show many of the dogs which would have been killed by the hunters, and also a photograph of a dead cat which was allegedly killed by the residents of Racha. The President of Animal Rights/Welfare organisation “Help Animals” has now written to the authorities in Serbia and also to the primary Editor of television station TV B92 . 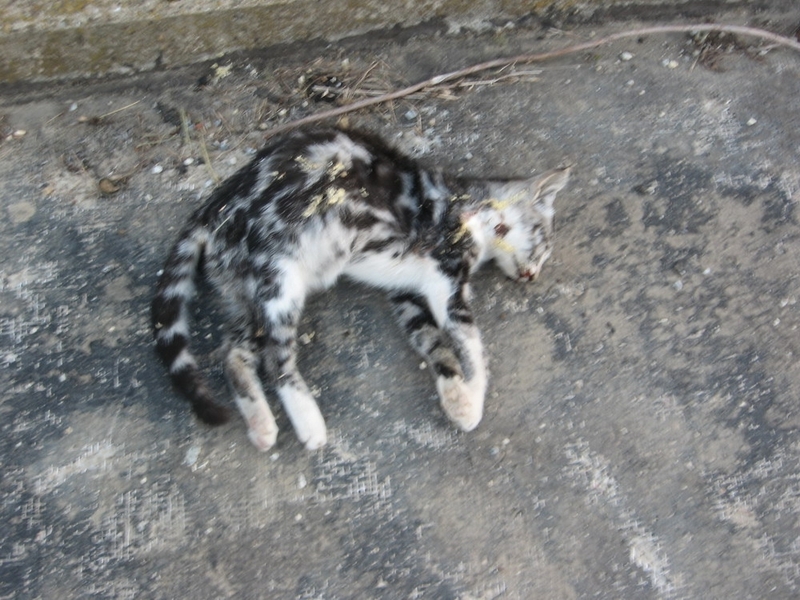 At the present time, things are steady in Racha, but campaigners have concerns that despite the action to ban the animal killings last Sunday, the same animals could once again be in danger as Racha citizens could kill any stray animals that they see. This gives call once again to declare that a No Kill, sterilisation, vaccination and identification programme is undertaken on all stray animals throughout Serbia, not only Racha. On 25th August, SAV submitted a five page document to both Mr.Sasha Dragin – Minister of Agriculture, Serbia; and to Mr.Zoran Micovic -Director of Veterinary Department of Serbia, giving a very valid response that No Kill sterilisation programmes are the way forward for Serbia if they, serbia, ever wish to see any long term reduction in stray animal numbers in the future. “The killing of all the animals in any one region, be it a town, village etc, such as Racha, will always simply create a void (free open space) in that town or village which will suddenly become appealing to all types of animals, be they wild or domestic, currently existing outside of that town or village. This void in the area now simply acts as a magnet to these ‘peripheral’ existing animals, enticing and encouraging them into the town or village with the hope of finding more food than they currently exist on, with the additional security of not coming under attack (predation) from the other animals in the area – ie. those which have now been killed by the hunters under the current system; it is a ‘win win’ situation for these animals. The situation above, the magnet and open invitation to peripheral area animals to now enter into the town or village due to the removal of the pre-existing resident animals, also has additional benefits to these new ‘migrants’ into the towns that those same animals can immediately become ‘Alpha’ dominant males, and enter into reproductive cycles with females of the species which have also been encouraged into the area by lack of predators and the possibility of more food. In a very short period, a matter of weeks, new young, virile offspring will be produced on the streets due to this mis-calculated method of animal control. These offspring, once mature, will very rapidly become replacement animals for those which were originally targeted in this mass extermination idea. In no time at all, the towns and or villages will end up with MORE animals on their streets than they had when the original mass cull was undertaken. This is not long term effective animal number management, it is a very bad, simplistic approach to an animal number control problems, numbers which will simply increase over time rather than be reduced. It cannot be put any simpler than that ! It is also suggested that the reason for the mass killings by the hunters is to remove and eradicate any carrier animals that may be incubating diseases such as Rabies. The concerns of local people can be understood, but again, this mass kill is not the end of the matter with regard disease control. But with new migrant animals as detailed above venturing into the town or village from the surrounding areas (suburbs), the situation for the mass transmission (spreading) of animal diseases into a disease-free region until then/now is a very strong possibility. Disease has no barriers, but under the mass extermination policy of the hunters, such as in Racha, animals which may (unlikely) be carrying disease and already living in the town, are exterminated and then replaced by the other migrant animals entering the town, which may possibly be carrying disease, just possibly. This Racha hunters mass killing and extermination policy does nothing except to encourage new diseases into areas which may until the killings, be free of a particular disease. Mass killing of animals is NO SOLUTION to preventing animal disease, it only helps to spread it further, and more efficiently – it cannot be put simpler than that. So, in summary, the mass killing of animals in any one area just increases the risk and potential of more diseases coming back into that area by the movement of migrant animals into the (killing) area from the outside”. ”Roaming Dog: a dog that is currently not under direct control and is not restricted by a physical barrier. This is the typical ‘stray’ animal. 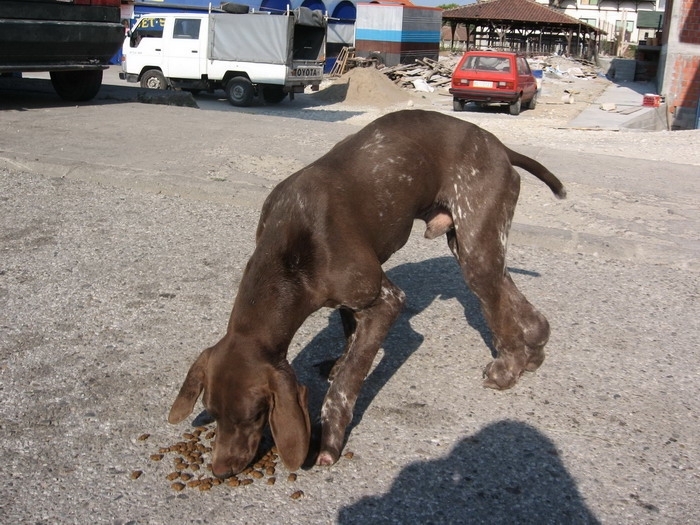 IMPORTANT – Roaming dogs CAN be both owned or un-owned; but those which are owned are still turned out onto the street each and every day by their owners. Owned Dog: simply a dog that someone states is their property or claims a right over – a ‘That’s my dog’ type thing. But this does not mean that the animal is responsibly owned; it can range from ‘loose’ ownership which often involves irregular feeding and free running of the town / village streets, the very ‘pest’ animal which those in the local population wish to see destroyed, right through to a well cared for, regularly fed, registered and confined animal which cannot roam the streets of the town or village. Often, these roaming ‘pests’ are actually owned by people, but those who care very little about the welfare of the animal or how many additional animals their un-sterilised ‘pet’ will be putting onto the streets over a period of years”. Responsible animal ownership places responsibility on owners to provide sufficient care for their animals, including food, water, health care and social interaction necessary to maintain an acceptable level of health and well-being for the animal. Owners also have a responsibility to minimise the potential risk their dog may pose to the general public or to other animals; ie. the spreading of both animal numbers through offspring and the spread of animal borne diseases.. In some countries this is a legal requirement. Where are the roaming dogs exactly coming from ? – are they roaming dogs or are they actually Owned dogs ? – what are the sources of these dogs and why do these sources exists ? – Any management strategy needs to aim to reduce the future unwanted roaming population by targeting the primary sources and undertaking No Kill sterilisation management. What are the main welfare issues faced by these dogs ? Who has responsibility for the control of the roaming dog population ? – this normally falls in the remit of the Agriculture department, with local authorities undertaking activities at a local level. NGO’s can help in providing an element of population management, but they MUST BE SUPPORTED by a responsible authority or government in order for anything to work. Public pressure can be a big factor in dog control and management. It is necessary to listen to the concerns and opinions of local communities and local authorities in order to ensure any control policies work. It is also necessary to educate the population about the advantages of No kill programmes. Including sterilisation and the limitations of disease spread. In an ideal situation it will be the responsibility of the government authority to gather stakeholders for a consultation / committee. As this will not happen in Serbia, NGO’s can help to create a working group and feed back information / findings to the relevant authorities”. 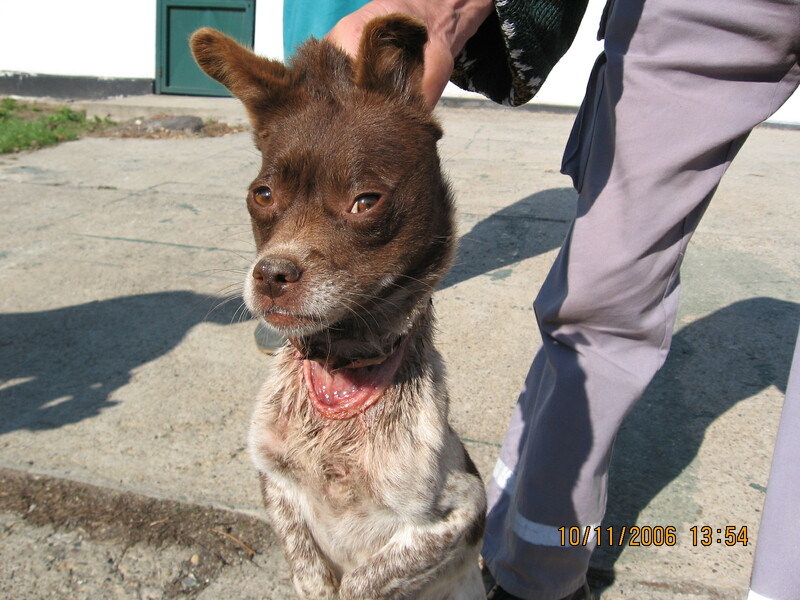 With the host of evidence, complaints and positive suggestions for undertaking a No Kill programme, campaigners hope that the new Veterinary Director of Serbia, Mr. Micovic, will agree with our No kill proposals and introduce legislation and a national programme across Serbia to implement same and humanely reduce stray animal numbers for the future. Hunters killing animals for fun in just a few locations is NOT an effective stray animal number management strategy; No Kill Sterilisation, Vaccination, Microchipping and Identification IS. We wait with interest to see which way the authorities move in. Worldwide Rally for the Street dogs of Turkey. If you are interested in organising or joining this rally in support AGAINST the mass killings in Turkey please contact the face book address nearest you. Thank you.